The “Kindness Rocks Project” is a pay-it-forward project where rocks are transformed into heart-warming tokens and left behind to simply spread kindness. 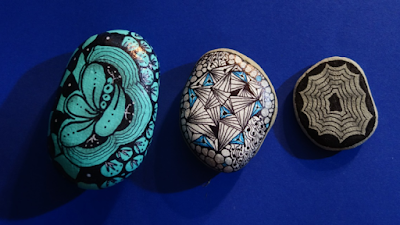 We’ll use Zentangle™, an easy technique of creating beautiful images by drawing structured patterns, to turn rocks into simple works of art. This soothing practice requires no previous experience. Immerse yourself into the process of creating and have fun. The workshop will take place on Wednesday, September 26th, and is held from 6:30 – 8:30pm in the Shoreline/LFP Senior Center, 18560 1st Ave NE, Shoreline, WA.